As with any protective style, always remember to moisturize. Before setting your hair for the night, I suggest spritzing with water or another moisturizing agent and sealing your ends with an oil or butter. 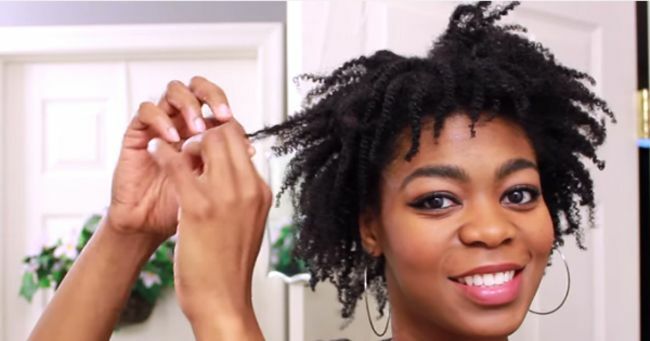 Here are two simple ways to maintain your twists and twist outs for days! It may seem like a pain, but retwisting your hair at night is one of the best ways to maintain the definition of your twists. Don't worry-- you don't have to do mini twists every night to get the same look, you can retwist in bigger sections and get similar results! Sleep with a satin bonnet! This is taken from Naptural85. Watch her maintaining routine starting at 5:15. Cover your hair with a satin bonnet! In the morning, shake it loose and re-mist with water. Separate your twists with your fingers for some extra volume. Pineappling refers to putting your hair at the crown of your head and securing it with a loose ponytail. Check out CurlyNikki's pineappling method! If your hair is shorter, you will need to try the multi-pineapple. Here's a guide on how to pineapple for all lengths...from twa to bsl. This article was written by ForTheFabulousandFrugal and published on CurlyNikki. Ladies, how do y'all maintain your twist outs at night?